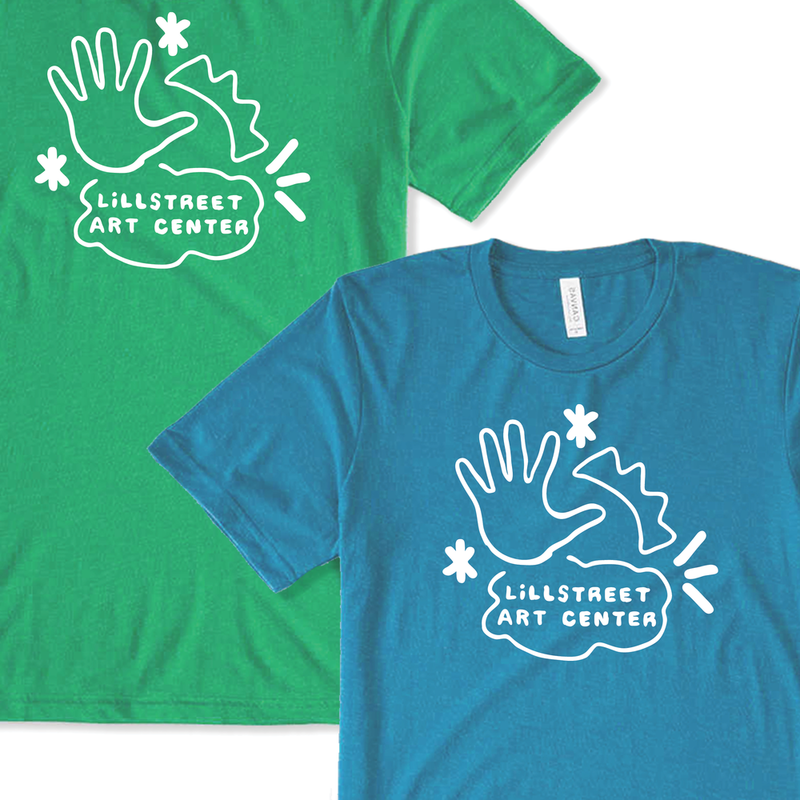 Lillstreet Art Center is a Chicago-based art center that offers artist residency programs, an art gallery, studio space, as well as art classes at all levels for both adults and kids. Lillstreet's classes and workshops include: ceramics; metalsmithing; jewelery and glass; painting and drawing; printmaking; textiles; and digital arts and photography. This is a submission for a t-shirt design competition for Lillstreet's textiles department. 100 t-shirts will be hand-printed for a limited edition sale. Specifications included using the words "Lillstreet Art Center" and only one color. The white color was chosen for easy and tasteful reproduction on a variety of t-shirt colors and styles. The playful, abstract hand-drawn shapes, the hand-written type, and the human hand reinforce Lillstreet's central idea: creating things with your hands! The index finger and thumb of the hand also create an "L" for Lillstreet. The six-pointed star drawings (a reference to the Chicago flag) represent Lillstreet's presence in Chicago since 1975.